It’s no great surprise to anyone who knows me that I’m a big Disney fan. 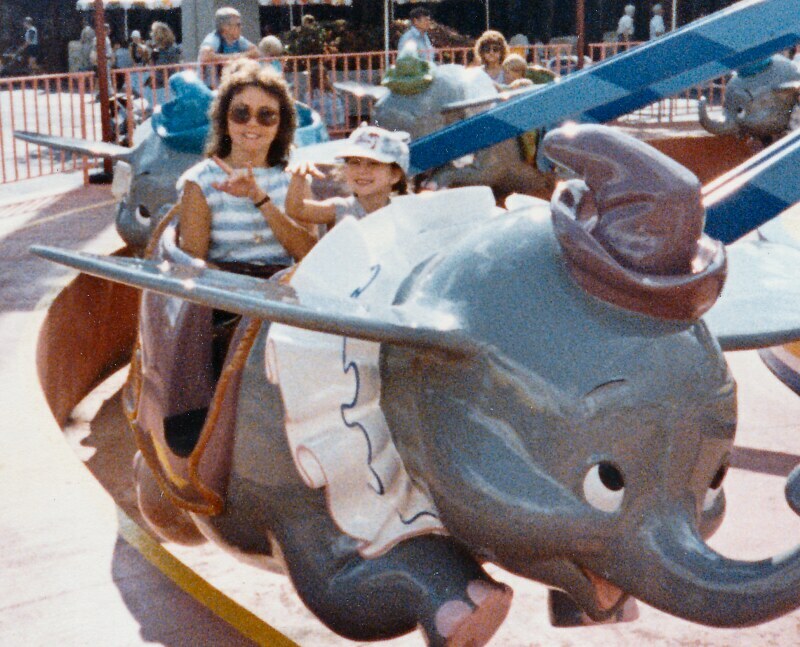 I have been since I first went to Walt Disney World way back in 1984 when I was a wee girl of seven. It ignited a fascination in me and a sense of wonder. And certain things just really stuck with me even after all these years. One of those things was the Journey Into Imagination attraction. 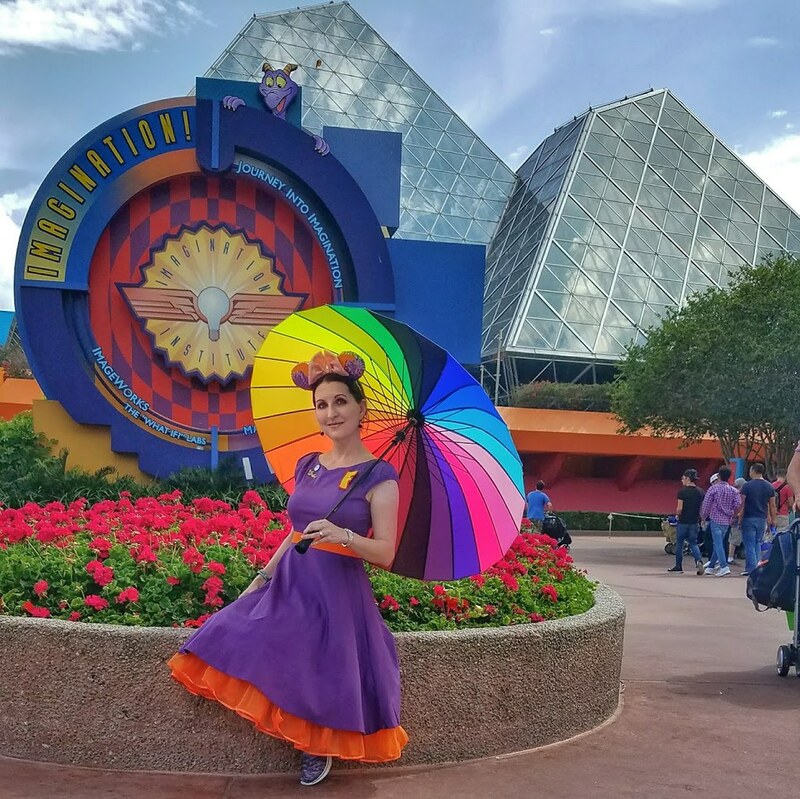 Based on the concept of the power of creativity and imagination, it featured a character named Dreamfinder who harnessed the power of imagination and created a Figment of imagination – a little purple dragon with two tiny wings, eyes big and yellow; horns of a steer – but a lovable fellow! as the song goes. 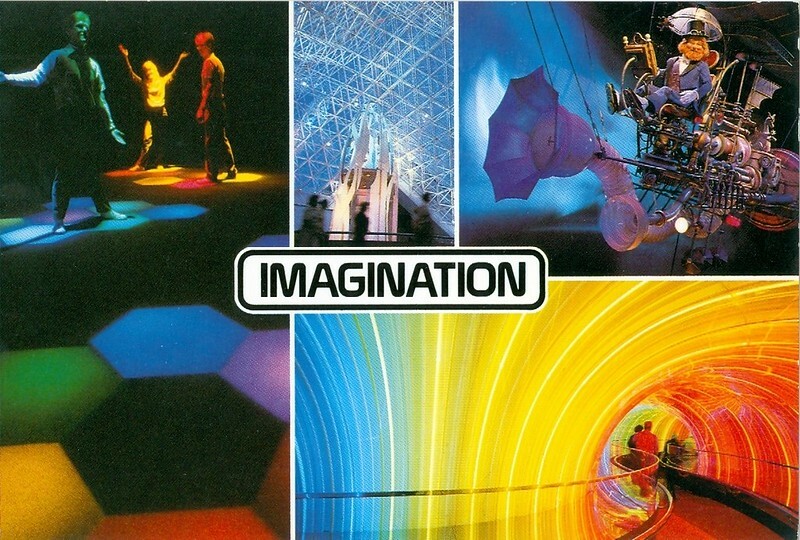 The ride and the entire pavilion (with it’s interactive play area known as “Image Works” on the then second floor) was the most amazing thing I had ever experienced to date. All of this is to say it’s no big surprise that I miss so many of those things that are long gone. And that I often get wistful thinking I wish I could see and experience them again. 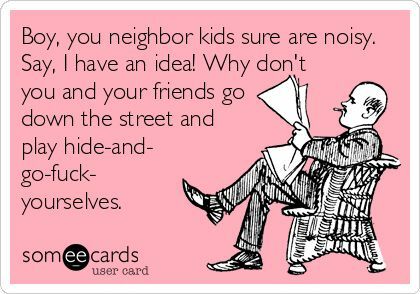 Which is probably why I had a dream about doing just that the other night. 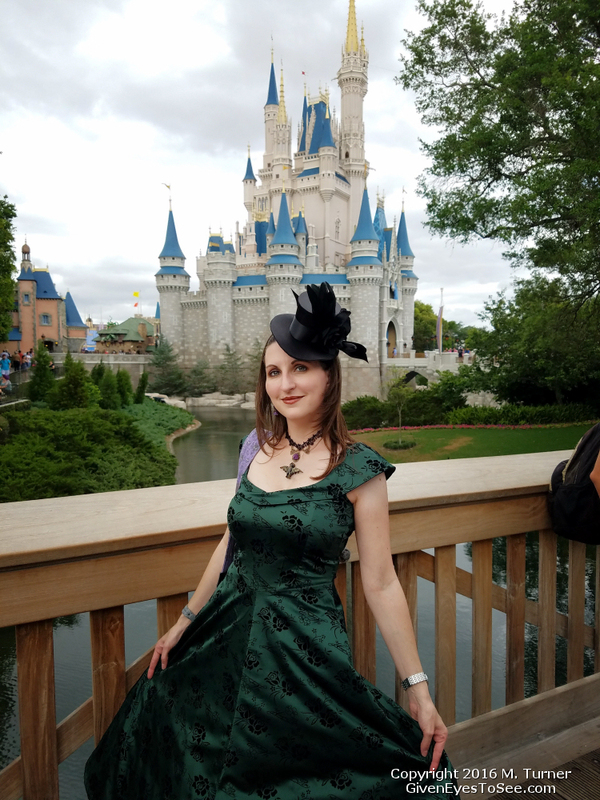 In my dream, I had an opportunity to go back in time to WDW and spend a day at the parks. (Don’t ask me how; it was just a given in the dream it was something I could do.) And so in my dream, I was planning all the things I wanted to try and accomplish and do while I was there. I was planning all the ways I wanted to try and preserve some of the experience. I knew I had to really think through and plan the experience because I couldn’t risk alerting people I was from the future. 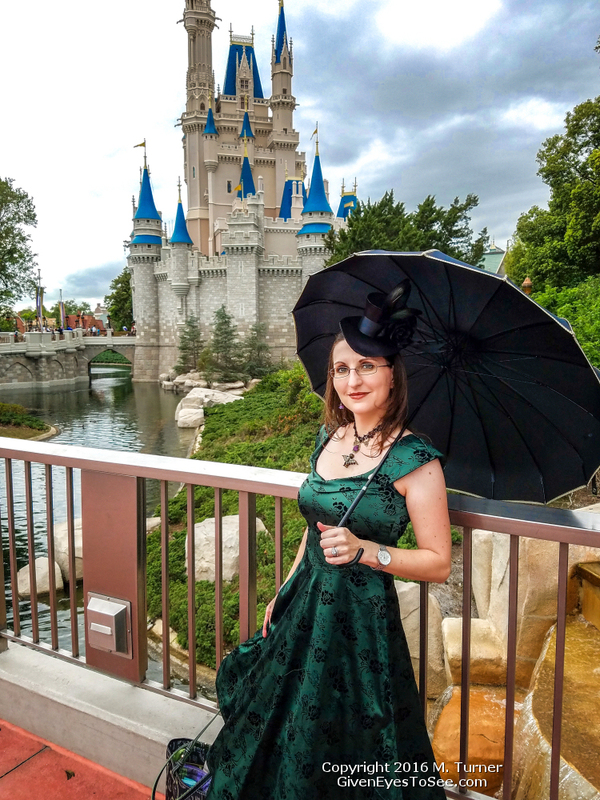 For example, I wanted to try and use some form of modern, digital photography methods to document the details of the parks and the attractions that were overlooked in the age of film. When you had only 24 shots, no one bothered to take photos of the small things. 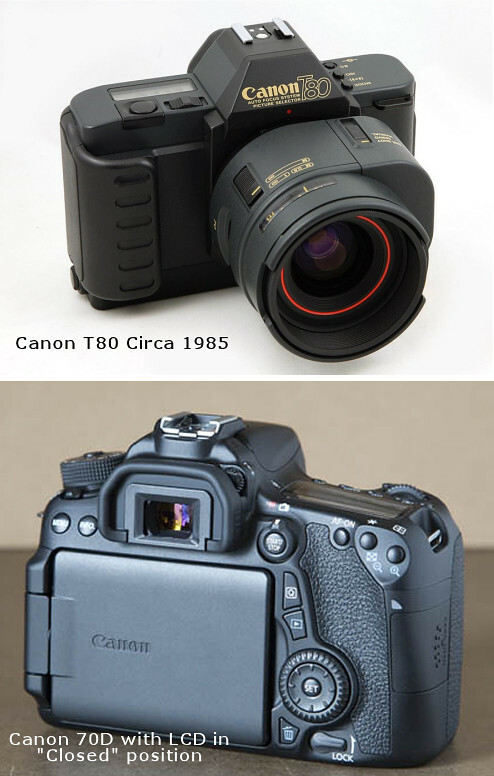 Not to mention, video taping was much less accessible and even if you did lug around a heavy camcorder, not only were you at the mercy of limited VHS tape times, but the quality of that tape would not be the HD or even 4k resolution we have access to today. I remember thinking I would need a lot of memory cards and back up batteries. (And I remember thinking I would need to change my memory cards in the privacy of a bathroom stall so no one would see the digital tech! LOL) I wanted to get photos and video of everything. I wanted to go into the Emporium and take pictures of the product displays and the inside of stores, and the menus and all the details no one would ever have wasted film on in the day. I also thought about things like the vintage napkins which used to have designs printed on them and even the gift bags which were themed for each park unlike today. I thought about all the things I would want to buy so I could have access to them in the present that you just can’t find anymore. Which led me to the realization that I obviously wouldn’t be able to use my debit or credit cards so I would need cash. But wait! 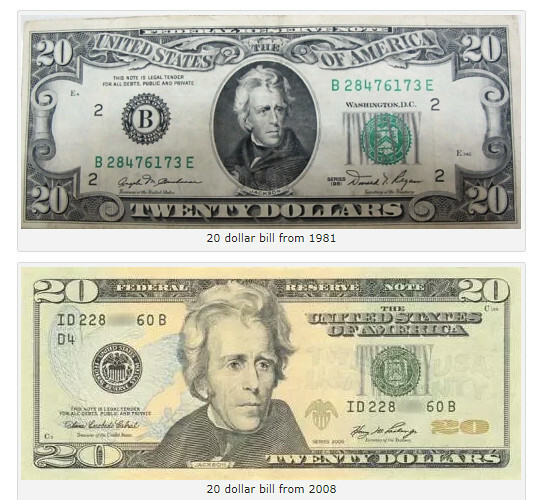 US currency has changed since the 80’s! 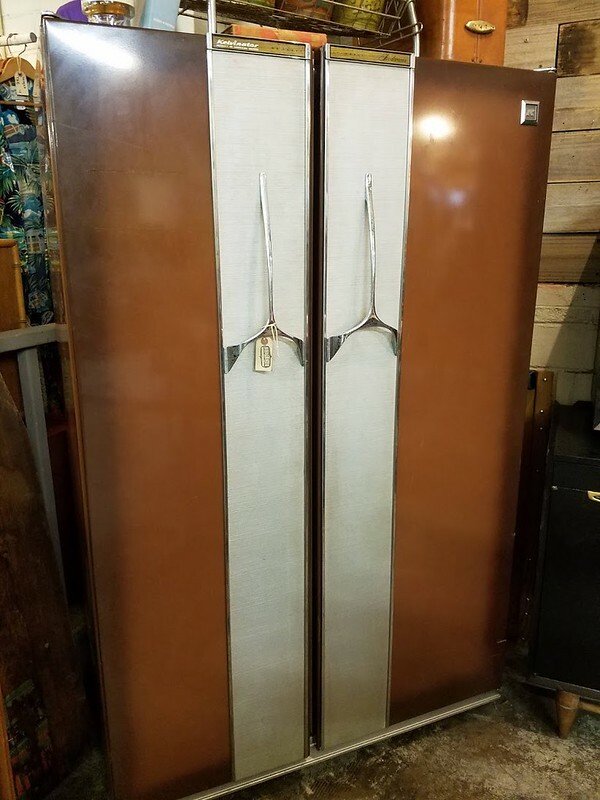 I would need old style bills. 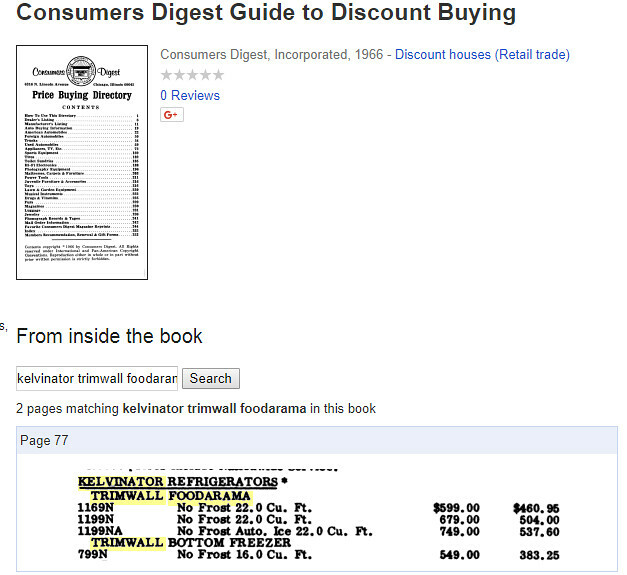 I was wondering in my dream the best and easiest way to find older versions of the bills and how I could get enough to buy all the things I would want to purchase! I thought about the idea of concealing a GoPro body camera on me somewhere so I could have video of me walking through the parks. It dawned on me there was no such thing as bag checks or security screenings or metal detectors then so no one would be searching me looking for hidden technology. 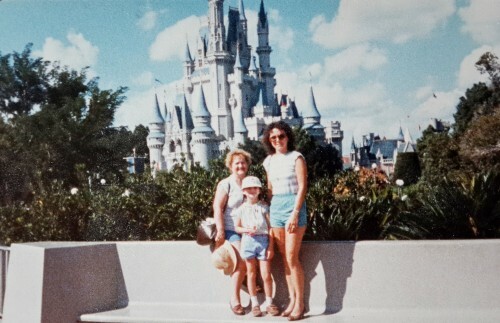 And I realized just how much daily life has changed in the 34-odd years since my first visit to the parks. 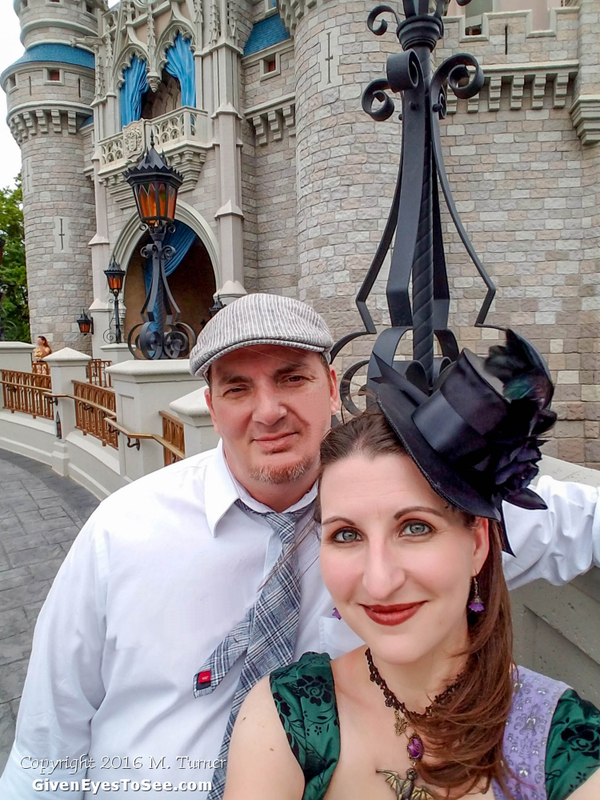 Sure, there are two more theme parks in WDW now vs 1984 (with Disney’s Hollywood Studios – originally Disney-MGM Studios – and Disney’s Animal Kingdom having opened in 1989 and 1998 respectively) but it’s so much more than that. And while yes, I’ve lived through the past three decades, things change in small ways and subtle ways and over time, they wind up being vastly different from where they began. 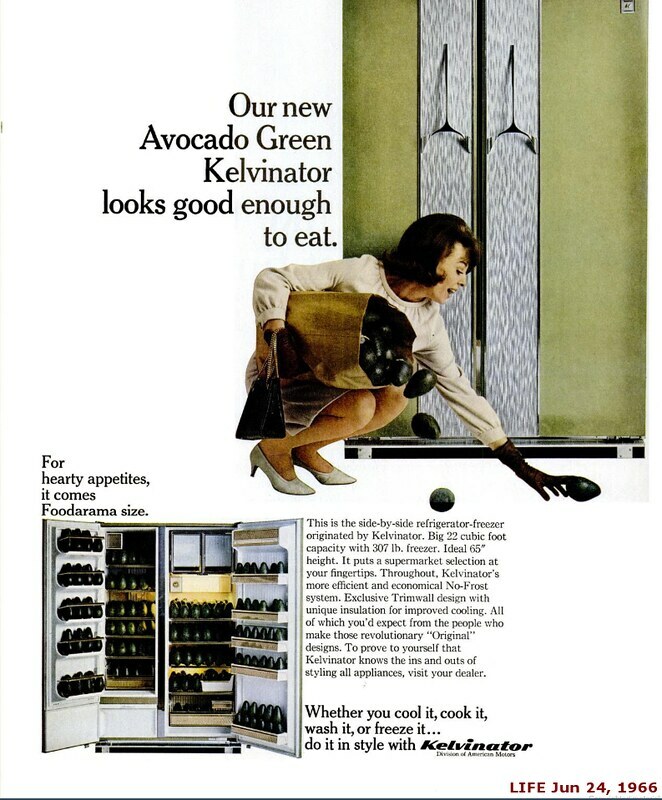 I thought about “selfies” and how that wasn’t a thing back then. 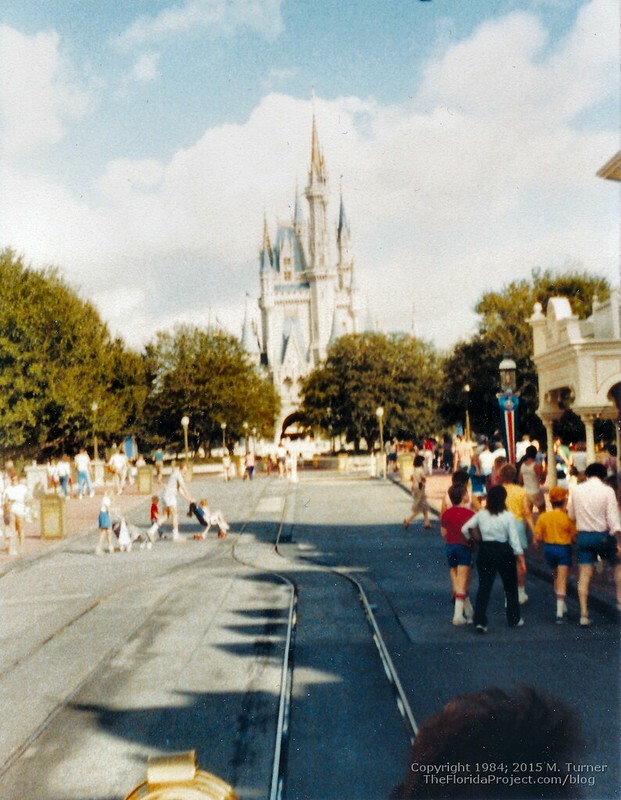 I thought about how I couldn’t risk getting my pic taken with any characters because (a) I couldn’t risk people discovering modern, 41 year old me in 1984 and (b) I couldn’t risk giving someone my digital camera to take a photo and I couldn’t wait for film to be developed using someone else’s camera. I thought about what the experience would be like and the things that had changed that I hadn’t realized or the things I might have overlooked or taken for granted in 2018 life that wasn’t a reality in the 80’s. But in my dream, I was so excited to see and experience and try and preserve some of these important moments in ways no one could have dreamed of doing back then. And I was so wistful and sad that I wouldn’t get a chance to actually do any of it. That I really wouldn’t ever get to ride Imagination again in my life; that I couldn’t capture that moment of time after all; that the past was as lost to me as it was to us all and anything we failed to save or record or preserve back then was truly gone. I’ve been thinking a lot of the dream the past few days since I had it. That idea of getting a second chance to not only relive something but to try and save some of it really resonated with me. I wanted to slip in quietly and unobtrusively, document it, experience it and leave. It wasn’t about trying to buy stock of Google or Microsoft or anything like that to make myself rich, it was about just getting to be there again in that time and place and try and share some of it with those who either would also love to relive it a little bit or those for whom they never had a chance to see it the first time around. I don’t know. I’m not sure if it’s just human nature to want to take a peek back at days gone by as we get older or if it’s the photographer in me. I’ve always loved history and capturing people and places and times and trying to preserve snippets for the future. I’ve been taking pics since I was a little girl and even back as a small child, I would label things with the date and my age and the place so that years later, I would know when and where and why something was. Either way (or maybe a little bit of both) the dream got me thinking and for a brief time while I slept, I enjoyed the challenge of planning for such an adventure and even if I can’t actually go back in time and live out my fantasy, it’s neat to think about the what if anyway and all the things you could do if given the chance. From the beginning, I knew something was wrong with Gracie’s mouth. It’s why I initially took her to the vet. But the vet felt the drooling was a nausea issue and got fixated on her abdomen and wound up sending me to a specialist for detailed blood work and ultrasound. All that cost me around $2,000 and a massive balance on my Care Credit that will be a burden to pay off. 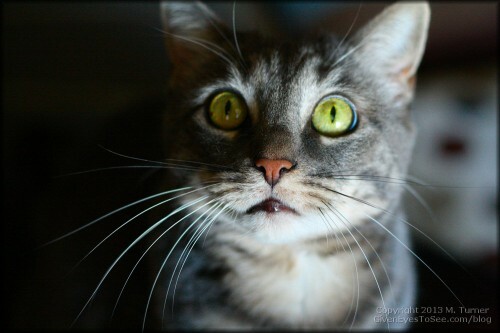 Gracie has such big eyes when she looks at you with her cute little face. I told the vet I was worried about her mouth. I had observed her turning her head sideways to eat. I also told the specialist vet again my concerns about her mouth, detailing the abnormalities I had seen. I was told she put up too much of a struggle to get a detailed look at her mouth. That she would have to be sedated and she wasn’t stable enough for that. I was so frustrated no one would just look at her mouth because it was so obvious to me something was wrong. My sister works for a vet office and she spoke to her boss and explained the situation and she was willing to try and see what could be done to look at Gracie’s mouth. I brought her in yesterday. It didn’t take any outlandish accommodations. Just wrapped her in a towel and the tech held her as the vet opened her mouth. She barely put up a struggle. 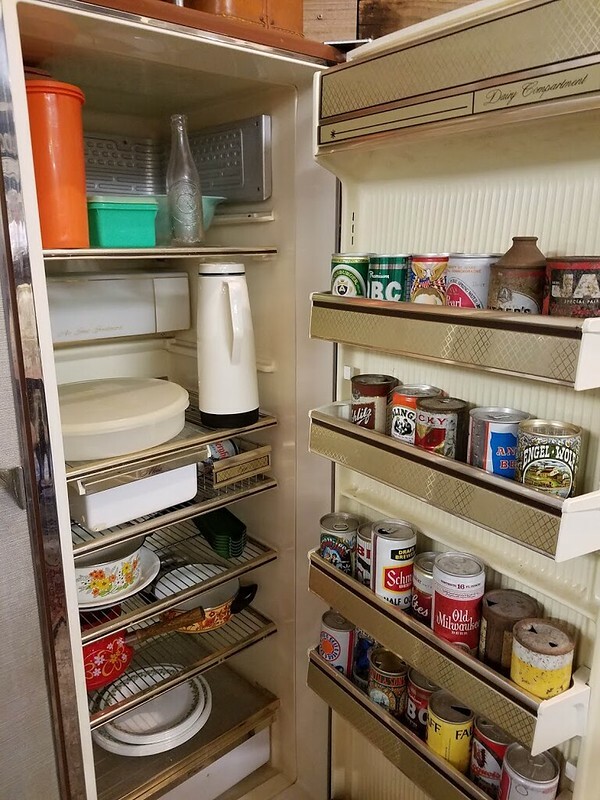 Even I was able to look in there. Gracie has a devastating mass in her mouth. It’s warped and almost folded in her tongue on the back. It’s why she drools and why she struggles to eat and drink and why her tongue has been “paralyzed” and won’t move properly. The mass is inoperable and clearly cancerous. All that testing for inflammatory bowel disease was moot. It doesn’t matter. Her mouth is going to be a death sentence sooner rather than later. She has been given an antibiotic injection to help with secondary infection. The mass will/does cause necrosis in surrounding tissue. She was given fluids and will be taking prednisolone as well as a pain med to help keep her comfortable. At some point, she won’t be able to eat or drink anymore. She’s already struggling with it because it’s hard for her to swallow (hence the drooling) and she can’t move her tongue properly which can lead to food getting stuck in her mouth. The vet couldn’t give me a time frame but this kind of cancer is very aggressive and it could be days or weeks. It’s hard to say. Either way, we are going to very soon have to make the impossible choice to humanly end her suffering. Love and I are utterly heartbroken and devastated. I’ve been crying since yesterday afternoon and I can’t see myself stopping anytime soon. She’s otherwise so alert and present and it just utterly breaks my heart to know we are so soon going to have to say goodbye. I’m also so furious that this has gone on for nearly 2 months and no one listened to me sooner that something was wrong with her mouth. While it’s unlikely it would have been any more treatable earlier, we could have saved her needless stress and procedures not to mention crippling debt I don’t know how I’m going to pay off. It was just all pointless because the cancer will kill her long before any IBD ever would. I just can’t imagine a future without her sweet little self in it. And I certainly can’t imagine it happening soon. But it will. And I feel like I’m dying inside. By request, I’m adding a donation link to the post for those who want to help me try and pay down these vet bills. Thank you in advance. I’m going to need surgery which is going to leave me with one arm for months, unable to drive, work, or support myself in anyway. Since 2001, I’ve made handcrafted jewelry, with my signature being wire wrapped tree of life pendants. 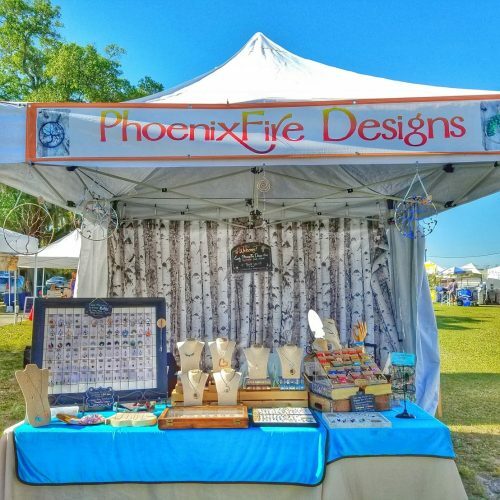 I opened my etsy shop in 2006 and PhoenixFire Designs became my full time job nearly 6 years ago now in 2011. 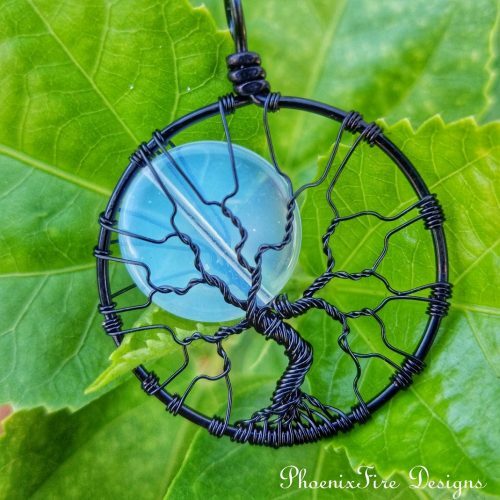 An example of one of my most popular pieces, an Opalite Full Moon Tree of Life Pendant in black wire. I also expanded into doing art shows and craft fairs in person as an artist vendor in 2012 and do dozens of physically taxing shows a year. Example of my vendor show booth – it takes about 1.5 hours to set up! My tent weighs 60lbs on it’s own – not including the 4, 30lb weight we use to weigh it down! 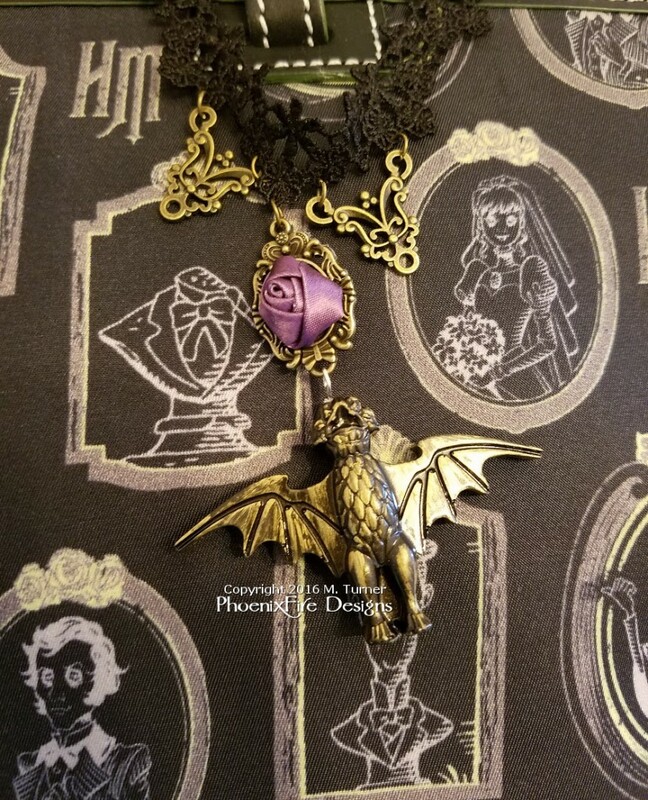 Making jewelry for a living is an amazing gift. But it’s a lot of repetitive work and it’s not easy on my neck and shoulders. It’s been a struggle to find the balance between creating and not overdoing it. Last fall, I started having intense pain in my left arm. No falls, no acute injury, but I couldn’t lift my arm, I had weakness and radiating, burning, pain down the upper arm to my elbow. This went on for a few weeks and gradually got better. Initially, I just thought I overdid it. 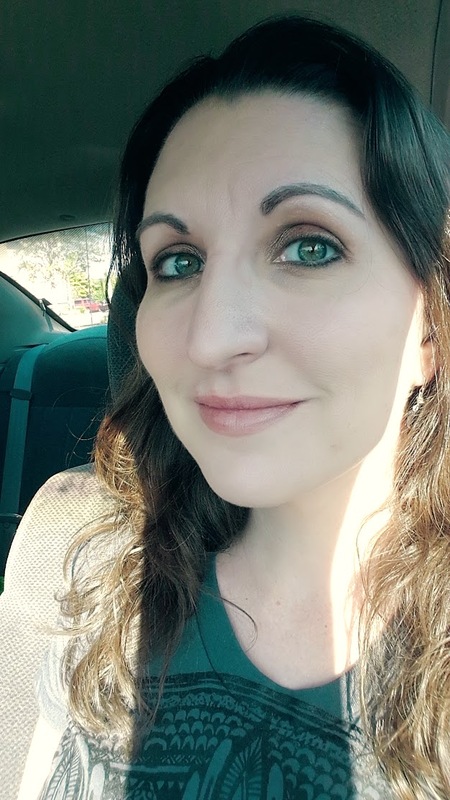 But this pain and weakness kept recurring – and got worse and worse until it got to a point where I couldn’t put dishes away or close the hatch of my SUV with that arm. I finally went to see an orthopedic doctor in May 2017. The initial diagnosis was “rotator cuff tendinitis with shoulder impingement” and I went to do physical therapy 2x/week. 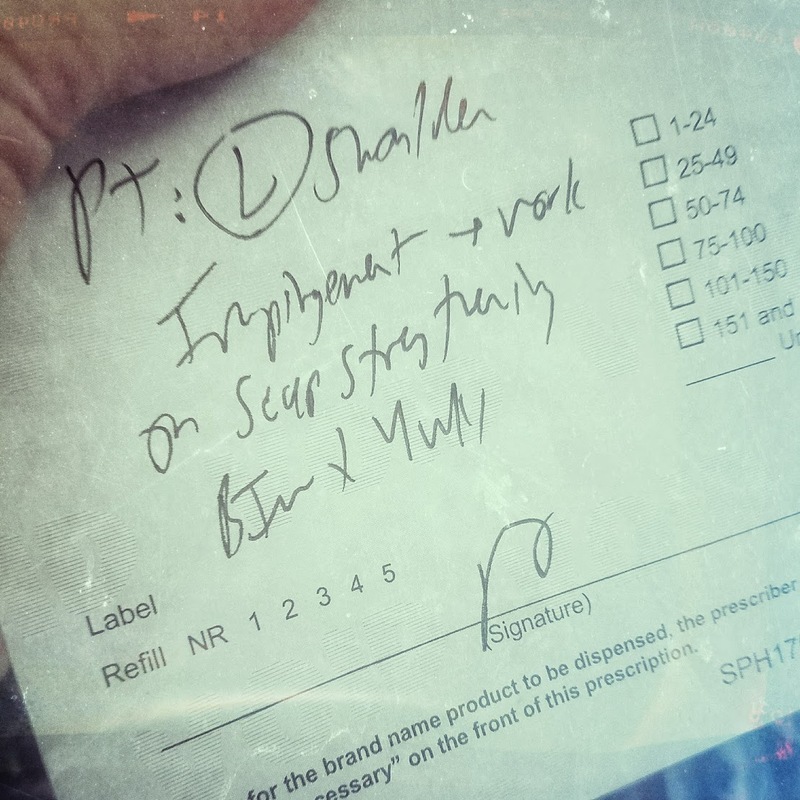 I diligently did my pt (including homework) for a month, and saw the ortho again. He felt we made some progress but wanted me to try another month. So I did, competing 8 weeks of intense work, working on range of motion, strengthening shoulder/back/biceps muscles, and postural awareness. At the end of 8 weeks however, I still had constant pain and continued weakness so he sent me for an MRI Arthrogram. A 3″ long 22 gauge needle was inserted into my left shoulder and 12ml of contrast was injected ahead of an MRI. As we have already tried cortisone injection and physical therapy and it did not significantly improve my pain and quality of life, surgery to repair it is the next required step. SLAP tear surgery is a difficult and extremely life altering recovery. I will essentially be one-armed overnight. I will be in a sling 100% immobilized for between 3-6 weeks. It will be a minimum of 3 months (to as much as 6 months) of down time. I won’t be able to drive, I won’t be able to work, I won’t be able to use my arm in any capacity. I need to build a nest egg to live off of; supplement to my complete and utter shutdown of wages. Additionally, there are a lot of things I will need prior to surgery, including purchasing a recliner since apparently it will be the only thing I can sleep in for the first month at least. I will also need to buy things like front closure bras, and other adaptability items to help manage daily life one-armed. Facing the financial panic on top of it is even more terrifying. I need surgery to get better, but I can’t do surgery if it means I can’t pay rent. My friends and family suggested I start a Go Fund Me to let people provide support and to help raise awareness. Any donations, shares, links, signal boosts are appreciated. Also, anything from my surgery wish list would be amazingly helpful too. Thank you to everyone who read this far and I truly appreciate all the love and support from all of you. 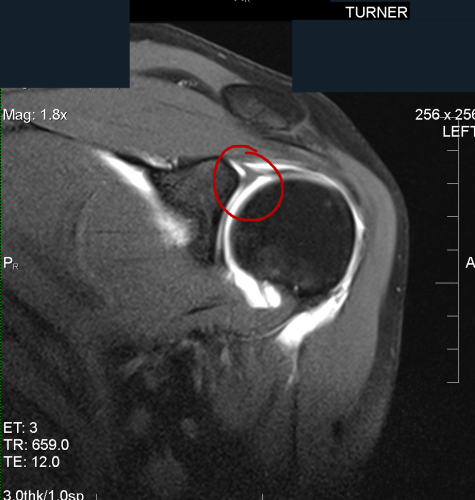 Yesterday, I had to have an MRI arthrogram on my left shoulder. It was a unique experience and I was really worried about it and I wasn’t sure what to expect. I spent a lot of time trying to google and research MRI arthrogram as well as what it was like and what it would feel like. 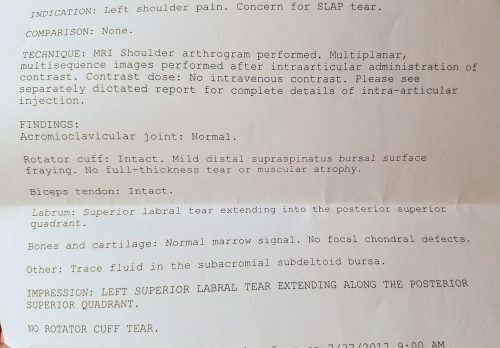 Since I’ve now been through it, I thought it might be helpful for some others to read my personal experience having a shoulder arthrogram and MRI. The damned thing has been problematic for the better part of a year now. Last fall (2016), I woke up one morning thinking I had slept wrong on the arm, because the shoulder hurt, and it ached down my arm to my elbow. It hurt to reach, extend and stretch it, plus it hurt to lift weight with it. This problem went on and off for months, varying in intensity and aggravation until May of this year (2017), I finally made an appointment with an orthopedic doctor to get it looked at. I went for 4 weeks of physical therapy. Saw some progress, but still had pain and weakness in certain motions. (Notably fully extending it outward and fully outward and to the right. ) Saw the ortho again after a month and he recommended giving it some more pt time, so I did another 4 weeks for eight weeks total. At 8 weeks, we did see more improvement, but felt like I had hit a plateau and there was still pain and weakness. Ortho recommended I do an MRI, but not just a normal one, but an MRI Arthrogram. Put it together and it’s a two part process where you first get injected with a contrast (in my case, gadolinium) along with fluid directly into the joint (in my case, my left shoulder) in order to better visualize the joint during the MRI so that small tears can be more easily seen by the radiologist. The entire procedure was about 2 hours in total. I booked the appointment at a local outpatient imaging center. I will note, it was a nearly 3 1/2 week waiting period to get it done because not every place that does MRI does arthrograms. They must have a Doctor of radiology on hand to inject the contrast. 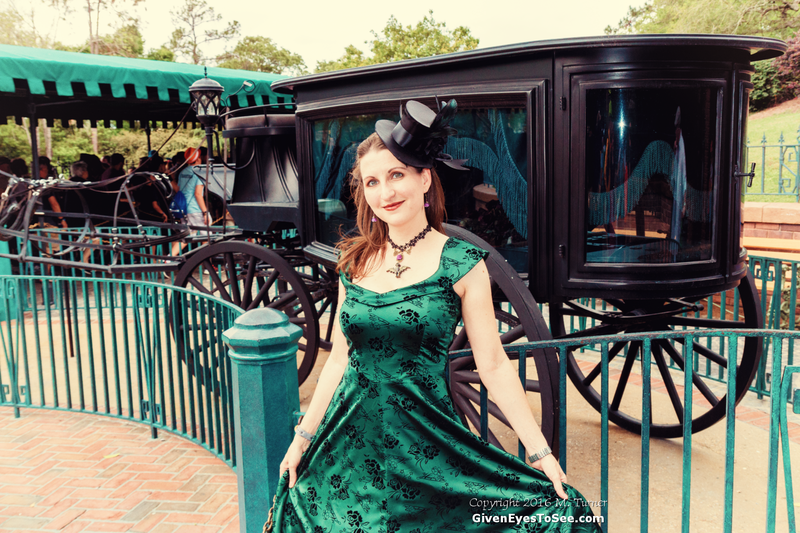 My husband came with me as I was instructed I had to have a driver. I arrived and checked in and got my lovely wrist id bracelet. 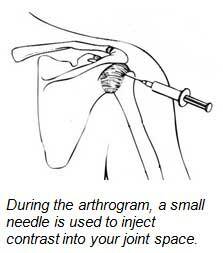 So what does an Arthrogram feel like? The next step was to go in and remove my shirt and bra and put on a gown so they could access my shoulder completely. They brought me into a room and had me lay down on the table. The doctor sterilized my shoulder and surrounding area. They use fluoroscopy which is a real-time, moving image version of an x-ray to properly position the needle. The doctor did an injection of a numbing anesthetic first. It pinched a little and there was a small, sharp bite of pain but it quickly went away. Then he slowly filled the joint with the solution of the fluid and the contrast. During this time, I was laying on the bed and they were using the fluroscope to monitor in real time to ensure the fluid went exactly where it was supposed to go. After the injection was complete, they took a few still x-ray shots as well just in case as a backup in the event the MRI images were not clear. The arthrogram was uncomfortable but not terribly painful. My shoulder felt “full” and there was pressure in my joint from the fluid but the numbing agent helped. 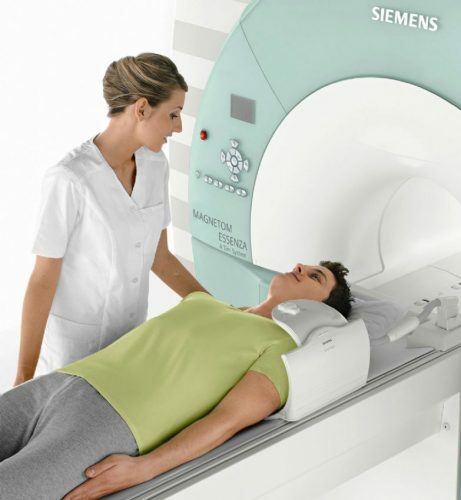 What does an MRI feel like? I also wore a pair of yoga capri pants making sure there were no zippers, buttons, snaps, or metal.) 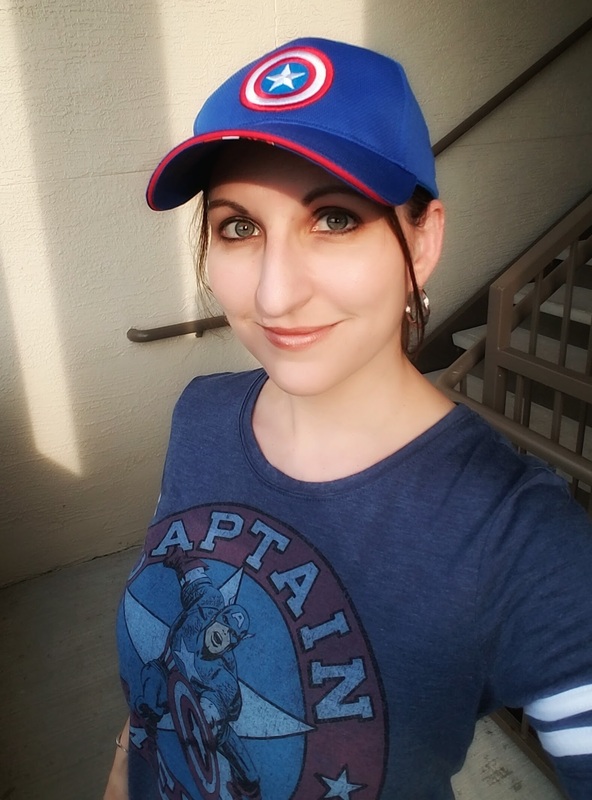 It was much more comfortable to have some semblance of normal clothes during the MRI instead of just being in a gown, so I highly recommend you look for something similar free from metal to wear. I was also given headphones with music playing and a squeeze bulb in my other (right) hand to press in the event of an emergency. Second round was harder. I had to lay with my arm up over my head with my hand behind my head. Then, she put this big foam piece over my chest and half my face! Then she strapped THAT down. Miserable. I had to lay still for 10 minutes – all the while, my shoulder was ON FIRE. Thankfully, she said we got the scan and I was free to go after that. After the arthrogram and MRI, I got to head home. My arm was sore and felt “full” from the fluid and contrast. I was also tired from the stress and anxiety of the day, so I took a nap when I got home. When I woke up, my whole shoulder hurt really bad. The numbing anesthesia wore off and the pressure in my shoulder made it felt like the whole shoulder was being stretched too far from the inside making it ache something terrible. It was also swollen. I tried to take a photo but it’s kinda hard to see in the picture. It was definitely puffier than the regular side. I took ibuprofen and iced the shoulder. It helped a little but really, it was just really uncomfortable. It hurt throughout the entire shoulder, both from the pressure as well as from the positioning in the MRI. The front shoulder, the rear into the shoulder blade and even into my upper arm all just hurt. It was definitely pretty miserable. Thankfully, when I woke up today (the day after) the swelling has gone down and the pressure has eased. It’s still sore in the “over did it” sorta way but not as bad as yesterday. Here’s some personal advice based on my experience to make the process as easy as possible. THIS IS NOT MEDICAL ADVICE. PLEASE REFER TO SPECIFIC INSTRUCTIONS BY YOUR DOCTOR. If you have anxiety or claustrophobia, it’s perfectly ok to ask for something to help. I got a 2 pill script for diazepam from my doctor a few days before and I took one valium 30 minutes before the appointment. It really helped take the edge off. Made the process a lot easier. Many places will even give you something there if you arrive and realize it’s overwhelming. Don’t be afraid to ask. There’s no shame in having anxiety or having a fear or phobia and it will make it a lot easier to deal with. Dress comfortably and be mindful of any metal in your clothing. By planning ahead and wearing comfortable clothing, including something like a seamless sports bra under your shirt instead of underwire bra or a bra with metal clasp, you can leave it on during your MRI. Look for yoga pants or leggings without buttons or metal clasps. It’s always more comfortable to be in clothing vs a gown and psychologically feels better too. Get someone to drive you to and from. I had my husband drive me. This allowed me to take a valium. And it meant I had someone to keep me company while waiting. It also meant that I didn’t have to try to drive home with one arm sore and limited mobility after. Drink plenty of water the day before and after to help flush the contrast from your system. Your kidneys should filter out the contrast in about 24 hours. But being hydrated the day before and drinking a lot of water after your procedure you can help flush it through your system easier and quicker. Take ibuprofen after and use ice pack for pain/swelling. Ibuprofen and ice can both help with swelling and pain. Get a reusable ice pack you can have stored in the freezer for minor injury on hand. It’s very comforting and can really help distract from the pain. Rest. Limit activity that day and take it easy. They recommended light activity on my left side for 12 hours, with gradual resuming of activity over the next 24-48 hours. Take it easy. Don’t expect to jump 100% back in. You will probably be sore and worn out. If possible, take the day off so you can relax. Get some sleep and give yourself some time to recoup. I stressed out over the procedure for three weeks. I was scared and I didn’t know what to expect. 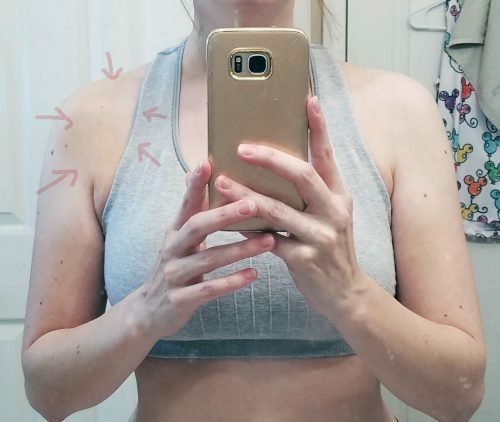 Overall, it was uncomfortable and claustrophobic, and my shoulder hurt a lot that evening from the pressure of the contrast/fluid, BUT….it wasn’t unbearable. And with some rest and a little Advil you should be feeling better in a day or two. 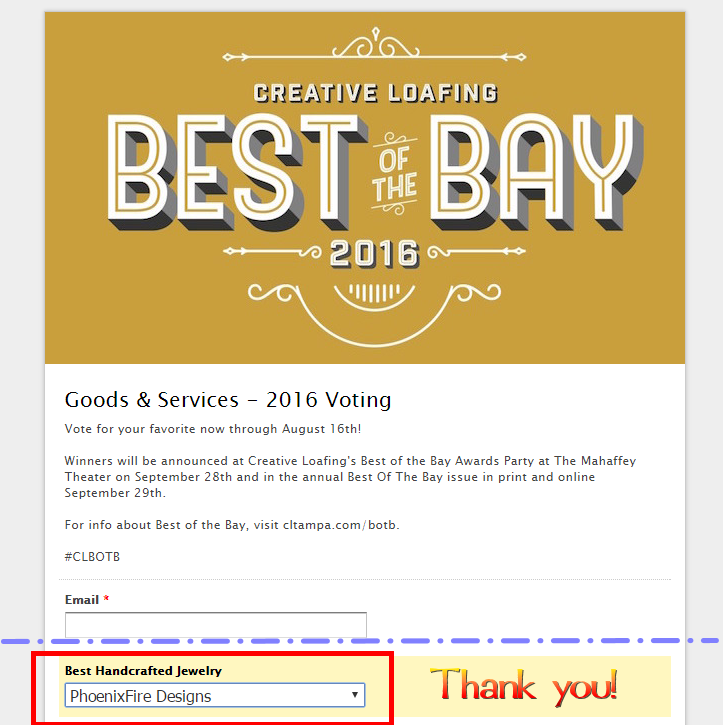 Hopefully, my experience has helped you understand the process a little and makes it a little easier on you. 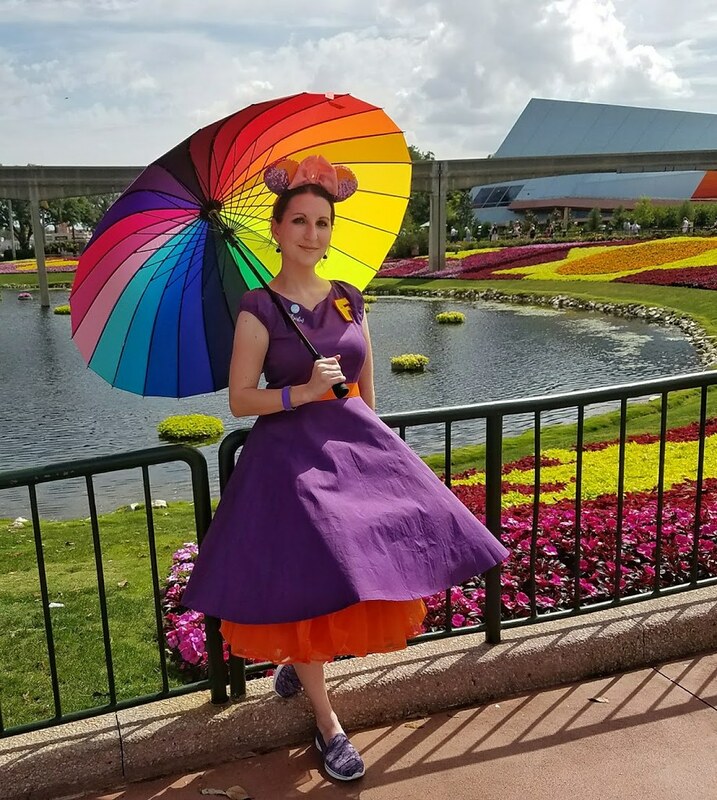 Since I had to work last November for the Fall 2016 Dapper Day at Epcot, I didn’t want to miss Spring 2017 Dapper Day at Epcot – especially since it was the perfect opportunity to do a Disneybound of my favorite Disney character – Figment! horns of a steer – but a lovable fellow! From head to tail, he’s royal, purple, pigment. And then, Voila! You’ve got a Figment! 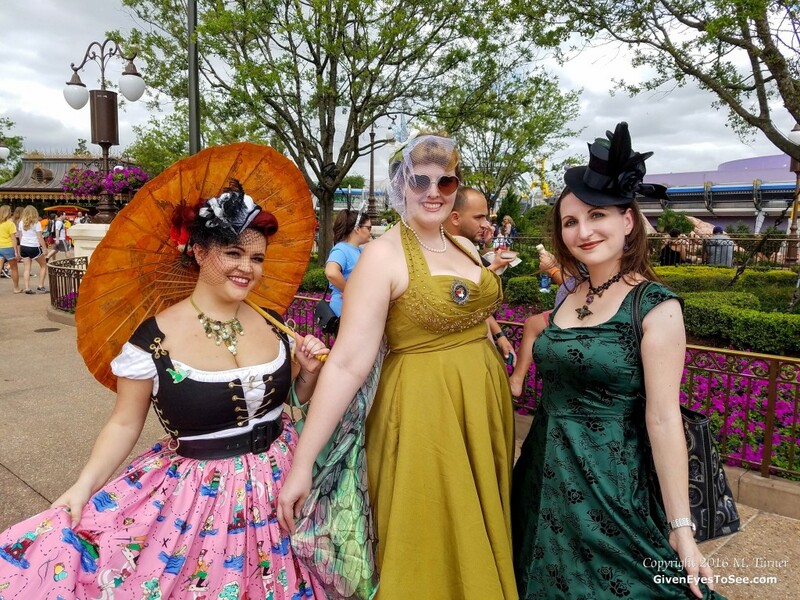 See more photos in my Dapper Day Spring 2017 Epcot Gallery. I don’t have the words to adequately describe how disappointed, disgusted and literally scared I feel in this moment as a woman in this country. I knew we were still a country battling bigotry, misogyny, hatred and even anti-intellectualism, but….but. This is something else entirely. I thought we were better than this. I thought decency would prevail in the face of horror. I thought common sense would override fear-mongering and blind hate; that the “ours” of this nation would come together and overcome the “mine” mentality of this nation. I fear my country tonight. I fear the millions of people who excused away the sexual attacks and vile commentary repeatedly thrown at my entire gender. I’m terrified of living in a society that has collectively decided to wage open war on so many groups including women, LGBT, immigrants, people of color, etc., etc. I don’t want to live in this kind of world. I don’t want to live in this kind of fear. And I honestly don’t know how to face a future where all of this is just okay now. Because it’s not. And the fact that so many not only feel like it is, but they are forcing us all collectively to walk down this same path is more than I can comprehend. I don’t have the words to express just how broken the human race truly is if this is the kind of mindset that not only still exists, but flourishes. I honestly thought we were better than this. And it’s painful to discover I was vastly, deeply wrong in that thought. The victims and families of the mass shooting in Orlando last night don’t want your prayers or your thoughts. They want your OUTRAGE that a small percent of gun nuts have successfully lobbied against passing ANY common sense gun laws and have put their profits over the lives of human beings. RAGE to your elected officials that they won’t stand up to terrorist organizations like the NRA who not only allow these mass shootings but who PROFIT from this fear and horror and death. 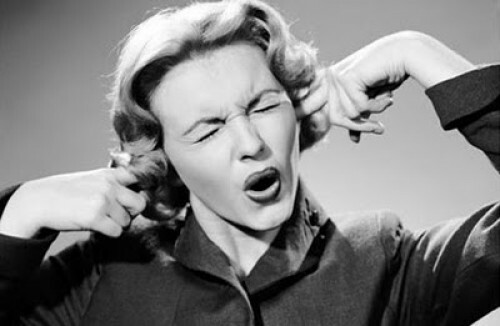 RAGE to your elected officials that they won’t listen to the overwhelming majority of the US population that WANTS common sense gun law reform. And VOTE to change the broken system and elect officials who WILL stand up and do the right thing and work towards a SAFER future for all of us. I went to Megacon for the first time this weekend. Previously, I made my Comic Con debut last year, in my first-ever cosplay as a girl Marty McFly to meet Lea Thompson at Tampa Bay Comic Con. This year, we had even higher stakes as none other than Doc Brown himself, Christopher Lloyd was going to be there!! 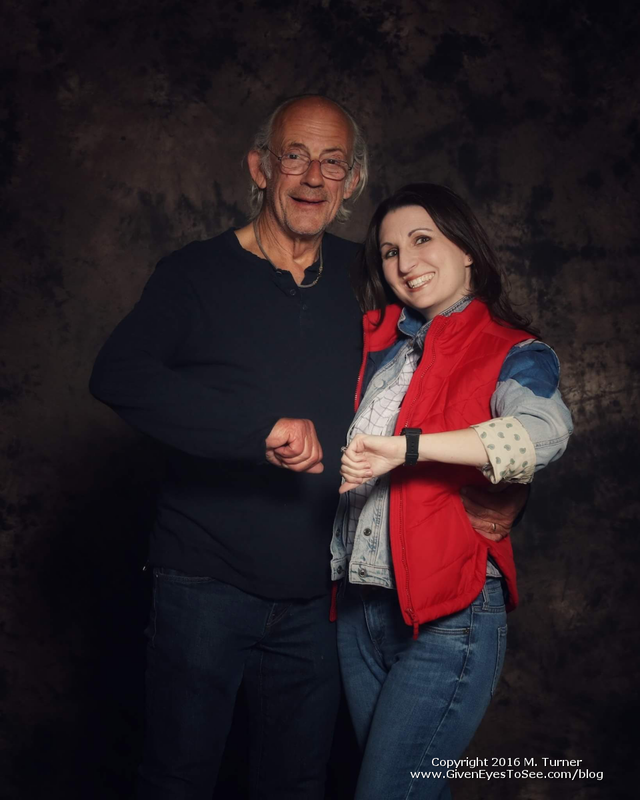 I bought us tickets for Saturday, bought a 1:30pm photo op with Christopher Lloyd and dusted off the old Marty cosplay outfit. I was psyched!! A little after 7am early Saturday morning, the alarm went off after about 4.5 hours of sleep. I wanted to make sure we got an early start so we could get there close to the 10am opening of the convention. We got ready and headed out, leaving a little later than I had wanted at around 9am, but given it was only a 90 minute drive, I figured that would still get us there by about 10:30am and probably in the building around 11am. What should have been an hour and a half turned into over THREE HOURS of absolute maddening traffic. We didn’t even get to the convention center until noon. Where we then further got stuck in a never-ending line to the toll booth trying to park. 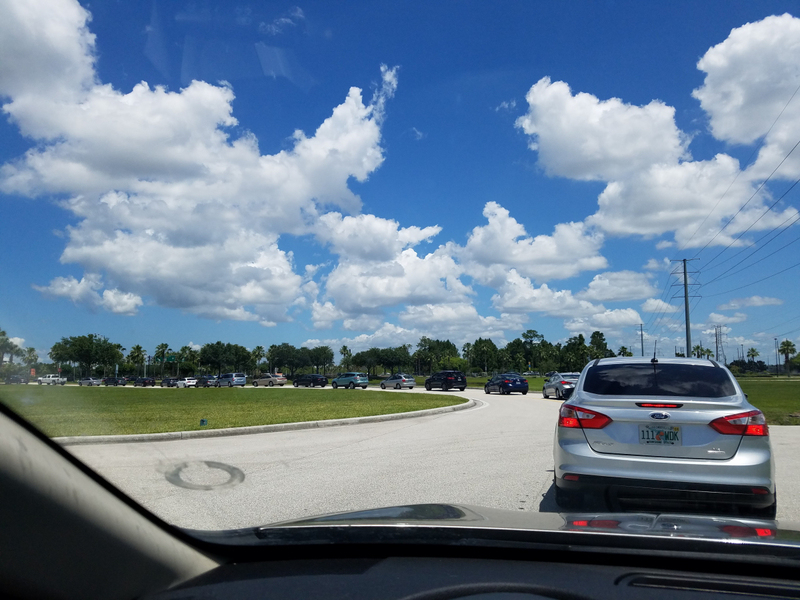 The wall of cars converging from multiple roads trying to get into the parking lot for MegaCon. As we sat there the time just kept ticking by. I had a 1:30pm photo op that was booked and paid for! By the time it was nearly 12:30, I knew I couldn’t wait any longer. I actually threw the car in park, grabbed my stuff and left Love to park the car. Over a mile run from where I had to leave Love with the car (who was stuck in line trying to park) just to get to the West Concourse to make my 1:30pm photo op. 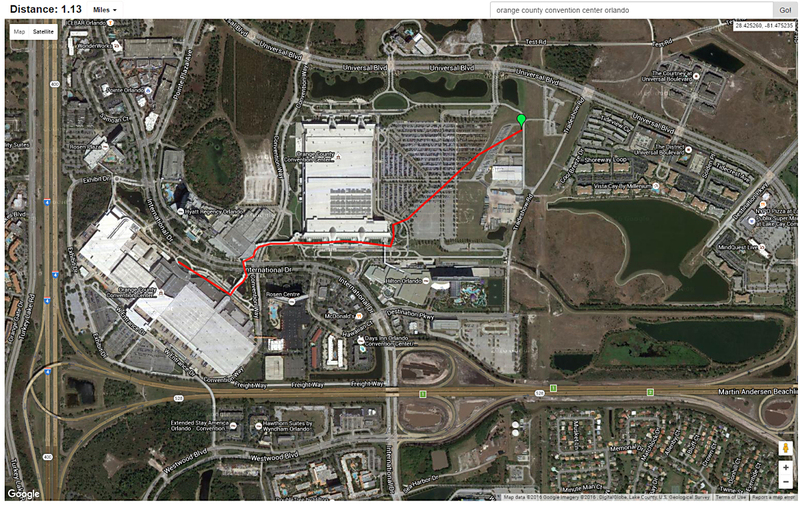 I took off, running in 95F heat through acres of parking lot, past other concourses of the convention center trying just to get to the building. After literally over MILE of run/walking (I measured it on google maps later), I ran smack into a line extending the entire length of the West Concourse, OUTSIDE stretching back just to get in the door!! About 15 more minutes of this line, I finally made it in the building. Only to be faced with ANOTHER LINE that literally WRAPPED around the entire perimeter of the massive room within the convention center! I had prepaid for my ticket but I needed my wristband and the line to get it was several thousand deep! I knew they were expecting over 100,000 people for the weekend but I never expected they would ALL be ahead of me in line!! At this point, it was 1:15pm. That was the time I was supposed to line up for the photo op and I didn’t even have my wristband yet! I got out of line, found a person who worked there who directed me to a manager. Another guy came up at the same time who ALSO had the same 1:30pm photo op and she escorted us both all the way up front, direct to the ticket taker and got us our wristbands. Success! Except the photo ops were on the entire other side of the convention center. And it’s a MASSIVE space that was FULL of people. The guy and I (never caught his name) stuck together, weaving in and out of people, dashing like mad fools trying to make our way to the photo section. We arrived literally right at 1:30pm. 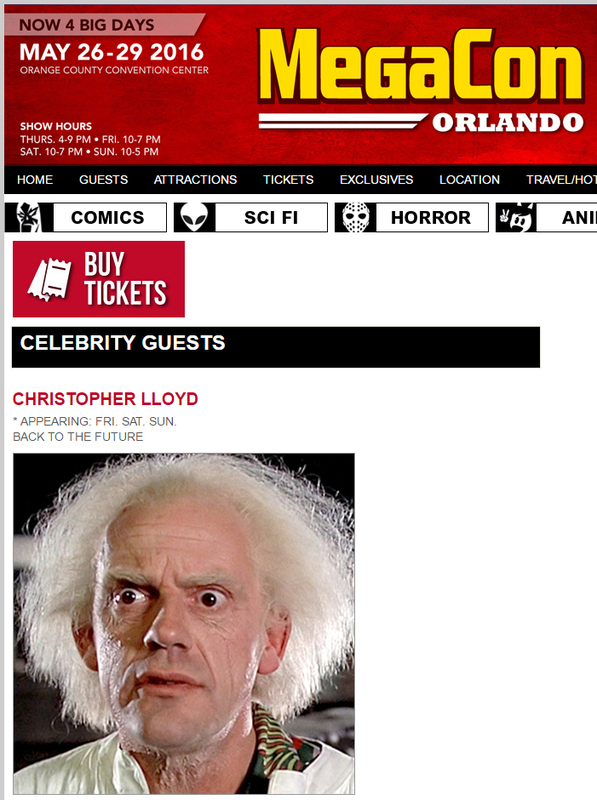 We were able to get in line and thankfully, Christopher Lloyd was running a few minutes behind. I was DRENCHED in sweat at that point despite not even having my jacket or vest on and fighting to stop panting from the non-stop running I had done for the past hour. Remember, I bailed out of the car around 12:25pm and it was now 1:30pm and it took that long just to get from the parking lot to the line! Doc Brown himself, Christopher Lloyd and me in my female Marty McFly cosplay at Megacon Orlando 2016. So much more to the day and so many more lines! Oh, and photos too!